The Americana Foundation awarded the Student Organic Farming Program with a $20,400 grant which will be matched by the university. The money the group received will be used toward work with farm expansion and maintaining staff, according to Fay Hansen, associate professor of biological sciences. The Americana Foundation’s website, their mission is to “support educational and advocacy programs that address the preservation of American agriculture, the conservation of natural resources and the protection and presentation of expressions of America’s heritage,” according to the foundation’s website. The group provided the grant to SOFP after visiting Baldwin Center and seeing what goes on there, according to Hansen. She said the foundation supports a number of local sustainable farming projects in the state. “This funding is really important to us because it will fund our farm manager, Jared Bogdanov-Hanna, for close to full-time, which we really need because of our farm’s expansion,” Hansen said. The SOFP received a grant in 2011 from Learn and Serve America, through the Midwest Compact Consortium, aimed at “development of the student farm’s academic and service-learning programs,” according to Hansen. That grant made it possible to hire a farm manager, though this funding is the program’s first from a private foundation. 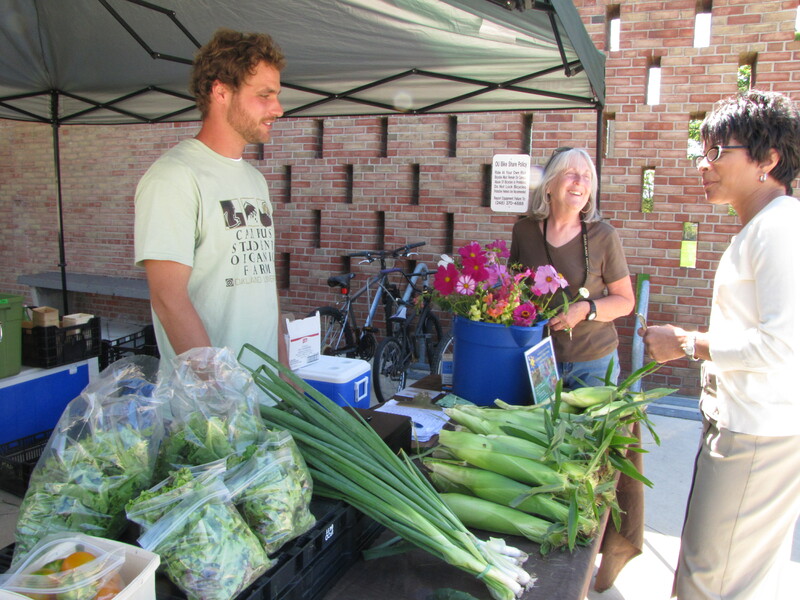 The SOFP works to “raise awareness about food choices, sustainability and health for OU students,” providing organic, farm-grown food for sales at the campus farm stand, as well as the Pontiac area, according to Hansen. Community efforts include volunteering at the Baldwin and Kennedy Centers in Pontiac. Hanna plays a role in overseeing farm projects.